I took this photo last year. It's a bit blurry because I took it from a car window in passing. This man, a resident of the village of Umm al-Hiran in the south of Israel, had just hosted my group for a morning of tea and discussion. After, we walked around the village to see for ourselves what he spoke of. His youngest daughter, in her bright blue dress and wooden-heeled shoes, followed us from the house. Determinedly picking her way across the stony ground, she quickly got sick of the shoes and, ignoring admonition from her siblings, took them off. High heels went flying across the rocks, and she kept walking barefoot after her father. One of the siblings took pity and went back to the house for her sandles, collecting the fancy shoes on the way back. And eventually the little girl made it to her father, and he took her hand and carried her shoes for her as we continued our walk around their home. This is what he took us to see. 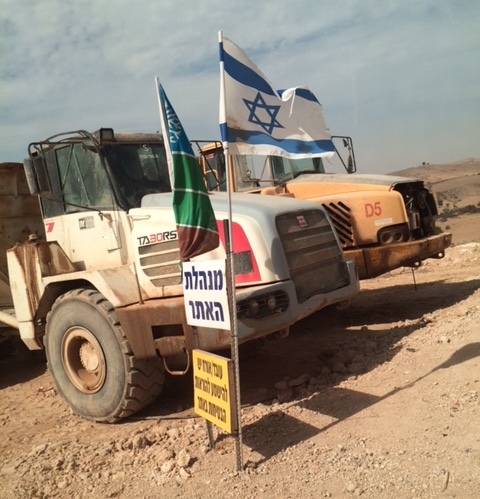 The equipment that the Israeli government had brought in to begin the construction of the new village of Hiran. Where was this new village to be built? Right on top of the old one, of course, once the inhabitants had been removed and the houses bulldozed. And what was so wrong with Umm al-Hiran that the government should see the need to build a new version of it? Do you want the short answer, or the long one? Because I could tell you about how Umm al-Hiran was termed an "Unrecognized Bedouin Village," meaning that even though families had been living there since the 1950's, the government refused to recognize and provide services for the residents. We could talk about the years of demolition orders on "illegal" structures, illegal because the government called them so. 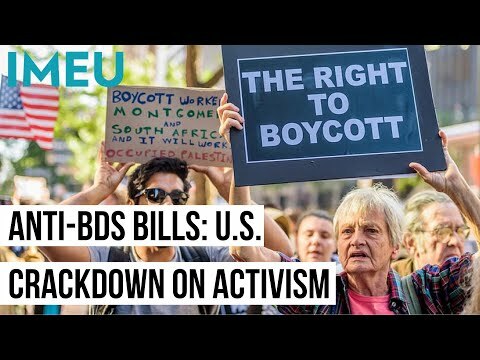 I could explain that Bedouin families all across Israel are being moved into government-established Bedouin towns, rife with overcrowding, unemployment, and poverty. But the simple answer? The people of Umm al-Hiran are Bedouins, Palestinian citizens of Israel. The new town of Hiran is meant to be a Jewish community. Long answer short, this man and his family face demolition and relocation because they are not Jewish. My visit was a little over one year ago. Yesterday, the Israeli government began demolitions in Umm al-Hiran. All the campaigning and efforts to gain recognition by the residents of the village and their supporters across the world were not enough. Fifteen structures were demolished. I don't know if that number includes the home of this man and his daughter. Adding to the violence of displacement, two men were killed, a school teacher and a policeman. Accounts of eyewitnesses differ as to the order in which they were killed, as is so often the case when the Israeli government is involved in fatalities. Well, I imagine some people might say, it's not as if the government did not try to provide an alternative to these families. 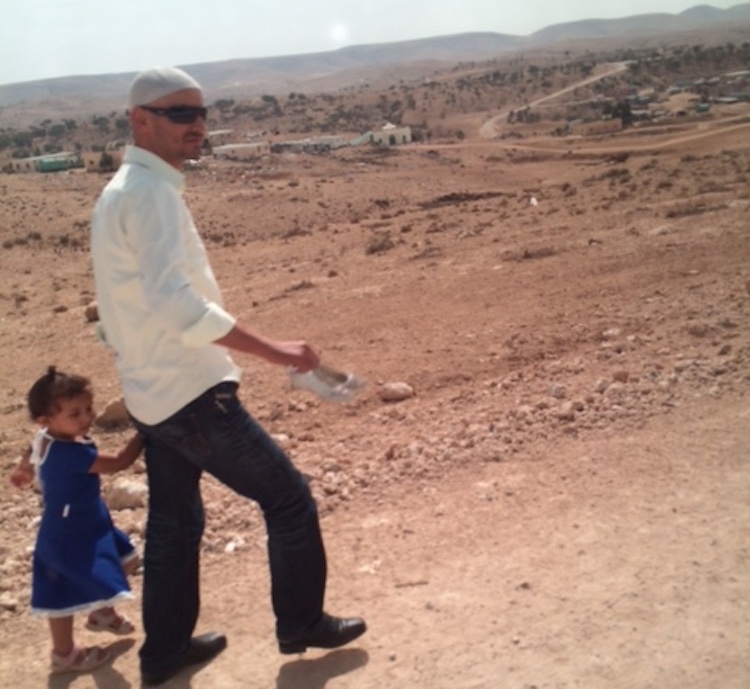 They were offered 800-square-meter plots in the nearby structured Bedouin town of Hura. Compensation was to be provided for their homes. And they never owned the land of Umm al-Hiran anyways -- it's always been state land. So if the state decides that the land should house Jews instead of Arabs, then that's for the state to decide? Can the state offer compensation for the loss of freedom and livelihood? 800-square-meters is approximately two-tenths of an acre. Can you raise animals on that? Can the state compensate your children for being deprived of wide open space and places to play? What's the value of the culture being demolished, and how will the state compensate for that? Multiple tragedies have taken place in Umm al-Hiran. I have to wonder where the girl I saw a year ago will grow up now. I wonder what will happen to her if she begins to believe that she is less important than her neighbors of a different ethnicity or religion. And when she is older, grown, herself with children, I wonder how she will teach them their own value, and how to love thy neighbor and welcome the stranger, in a society in which they are so little regarded. I am serving on the World Council of Churches’ Ecumenical Accompaniment Programme in Palestine and Israel (EAPPI) as an Ecumenical Accompanier. Any views or opinions contained herein are solely those of the author and do not necessarily represent those of the WCC. Please do not forward or use any part of this communication without permission. Thank you.